The District of Columbia City Council Tuesday voted unanimously to give final approval to a bill that would legalize the use of medical marijuana in the nation's capital. But while medical marijuana advocates welcomed the move, they complained that the bill is unduly restrictive. It is not quite a done deal. The bill now goes to Mayor Adrian Fenty for his signature. After that happens, it must then undergo a mandatory 30-day review by Congress, but since Congress last year lifted the rider that had barred DC from implementing medical marijuana ever since voters approved it in 1998, it is not expected to turn around and kill it in the District now. The measure allows for five distribution centers to provide marijuana to seriously ill patients suffering from chronic or debilitating medical conditions. That number could rise to eight under rule-making authority held by the mayor. Distribution centers can be for-profit or non-profit and must be at least 300 feet from schools. Marijuana for patients will be grown in registered cultivation centers. Each center will be allowed to grow no more than 95 plants. Patients may legally obtain marijuana only from distribution centers. They may not legally grow their own supply or procure it outside the DC medical marijuana system. Patients may possess no more than two ounces of marijuana per month, although the mayor is authorized to raise that cap to four ounces under his rule-making authority. Patients can only use their medicine at home. Removing the language prohibiting patients from using marijuana or paraphernalia not obtained from a licensed dispensary. Removing the limitation to home consumption in favor of a simple public smoking ban. Including severe, chronic pain as a qualifying condition for patients. Removing the cap of 95 plants on cultivation centers. Advocates did not get the changes they wanted, leaving DC with a medical marijuana law that is one of the most restrictive in the land. All they got was the future possibility of raising the possession and purchasing cap for patients. Still, a medical marijuana law is a medical marijuana law. "Today marks a long overdue victory for DC voters and potentially thousands of chronically ill residents who will benefit from legal access to medical marijuana," said Karen O'Keefe, director of state policies for the Marijuana Policy Project. "It has taken nearly 12 years, but the District will at last have a law that recognizes the mounting scientific consensus that, for many conditions, marijuana can be safe and effective medicine." The DC medical marijuana program would allow members of Congress to get a firsthand look at how such programs work and ease the passage of medical marijuana legislation at the federal level, O'Keefe suggested. "A well-working medical marijuana program in the nation's capital will also provide members of Congress who have never seen such programs up close with a unique opportunity to do so, she said. Once they see for themselves that these laws do nothing but provide compassionate care for seriously ill patients, hopefully they will understand the need to create a federal policy that no longer criminalizes patients in any state who could benefit from this legitimate treatment option." The Drug Policy Alliance also welcomed passage of the bill, but was more critical of its faults. "The DC Council should be congratulated for exempting AIDS, cancer and other patients from the punitive war on marijuana," said national affairs director Bill Piper. "No one should face jail for using marijuana, especially patients following their doctor's recommendation. 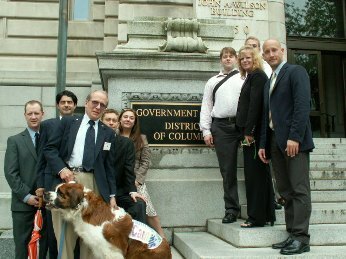 This has been a long fight, but the voice of DC voters is finally starting to be heard." Piper noted that DC voters passed medical marijuana with 69% of the vote in 1998 and accused the council of ignoring what voters wanted. "While the Council is heeding the will of voters in important areas, such as allowing the regulated sale of marijuana for medical use, it is ignoring the will of voters in other important areas -- most notably by prohibiting patients from growing their own medicine; a key component of the 1998 initiative, and a key component of medical marijuana laws in 13 states," he said. "The legislation also only protects patients from arrest if they use marijuana obtained from a dispensary. Yet experience in other states show that dispensaries routinely face shortages of marijuana. And the federal government could shut down DC's dispensaries. If either happens, patients will be forced to buy their marijuana from non-dispensary sources. They shouldn't face arrest for doing so. No patient should face arrest for following their doctor's recommendation. This is a glaring problem with the legislation; the Council needs to fix it or the health of patients could be undermined." 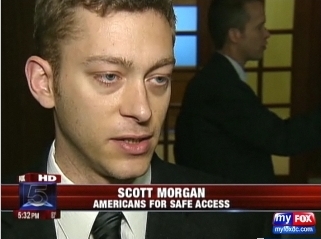 The reaction from Americans for Safe Access (ASA) was similar. "We are certainly excited to implement a bill that has taken 11 years to see the light of day," said Steph Sherer, ASA executive director. "However, the District Council's failure to listen to patients' needs will have serious unintended effects that may force us to work for years to correct." Once the legislation takes effect, DC will join 14 states that recognize medical marijuana.